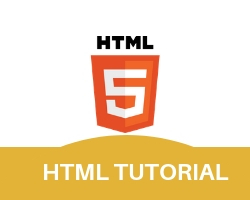 HTML Link tag is used to connect a webpage to another webpage. Anchor <a> tag is used to connect a webpage to each other. Using anchor tag we connect either a global web page like google, yahoo, facebook etc or we our won local web page. but for our local wep_page only need to give wepageName.extension inside href=”” attribute. Hyperlink is declare in an anchor tag <a> ..attribute href of anchor tag with (value=URL) specify the address of URL. Another Property target with(value=”_self”) is open the url at the same page. A statement is also type in middle of <a> tag to recognize the url name like..google,yahoo. Open the Google web page in new tab of your browser. if we set the target=”_blank”.. then url will open in a new tab. Use title to show hint, title will display when You put mouse on the text. <a href="http://www.google.com" title="To link with google you need to click here"
To make an image hyperlink you have to use both anchor tag and image tag. First create a hyperlink using anchor tag, now put the image tag in between anchor tag.